Recently, however, the Charlottesville spring I so look forward to has involved more white on the ground than white flowers on the trees. As my lab TA said, "If I've never seen snow in Poland this late in March, I shouldn't be seeing it in Virginia this late." Don't get me wrong, the snow is absolutely beautiful and doesn't really get in the way of anything. Grounds basically turns into Narnia, minus most of the power struggle and mind games, every time it snows. But, there is a time and a place for winter wonderlands, and it is not late March in the arguably southern state of Virginia. After the initial frenzy of snowball fights, sledding, and snowmen, the time just comes for some warm weather. 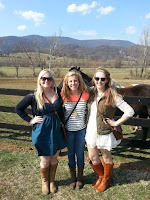 Let it be known that March 30th, UVa crossed over into that warm weather and man it felt good to thaw out. 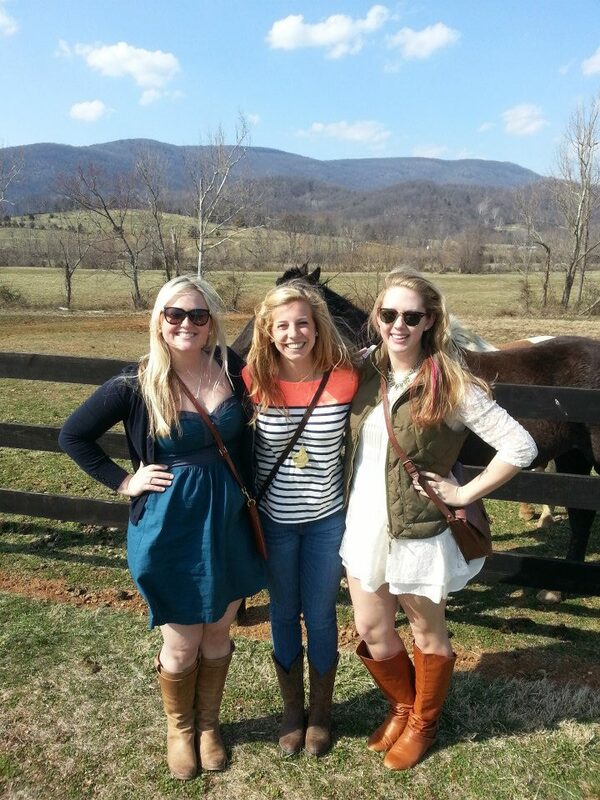 At least 1/4 of my legs were exposed to warm sunshine that day, and I could not stop smiling. What a lot of students don't realize coming into the University, is that there is so much to do off grounds as well as on grounds. 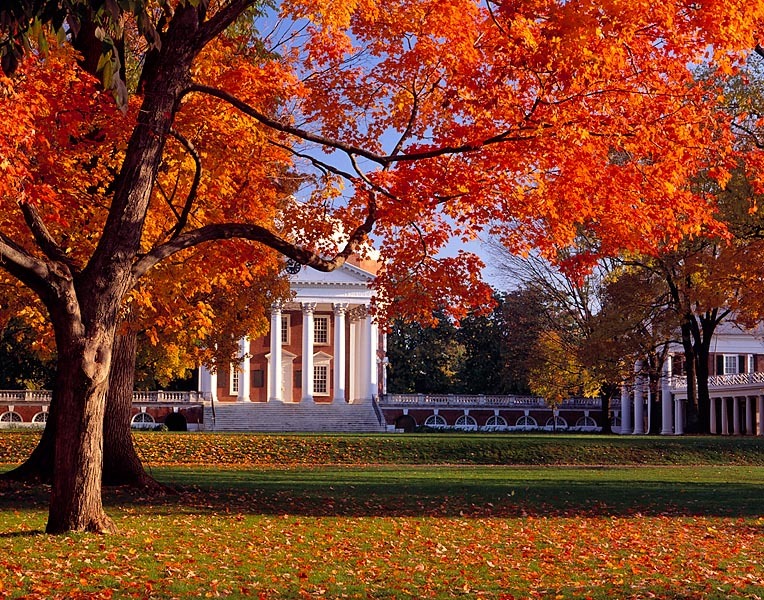 The area surrounding UVa, as well as UVa itself obviously, is actually breathtaking. 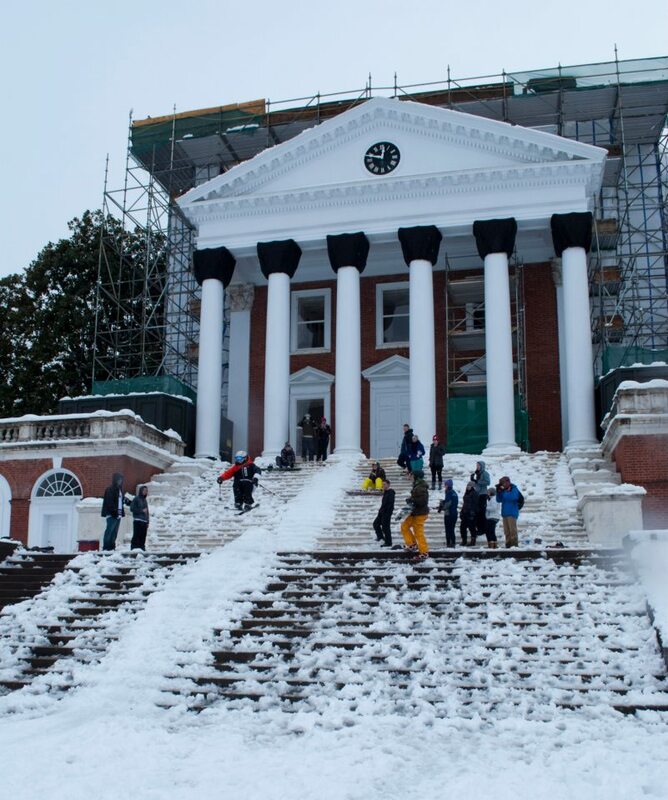 So where do UVa students decide to escape to on the first sunny day of spring? A vineyard of course! 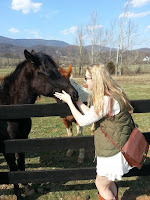 Now, vineyard doesn't just mean wine, it means absolutely amazing views of the mountains and sky, adorable puppies and children running around, really good cheese, horses, sunshine, and, yeah, wine for the 21 year olds. 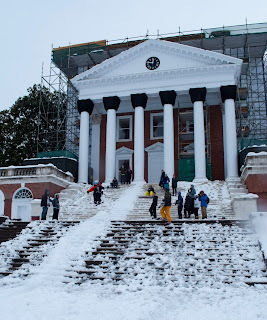 That's the great thing about Uva, there are so many adventures to be had and so many unique experiences and traditions built into the UVa culture. We are a University of extremely talented and motivated students, diverse in background and thought, but the one thing we all have in common is a love of our school and all the adventures it has to offer. 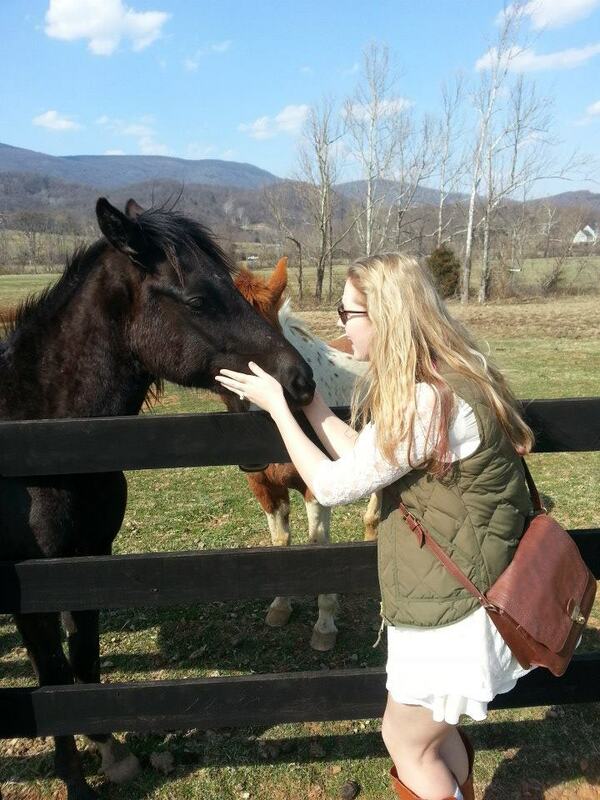 UVa is more than a school, it's a community and a place that you fall in love with over and over again. 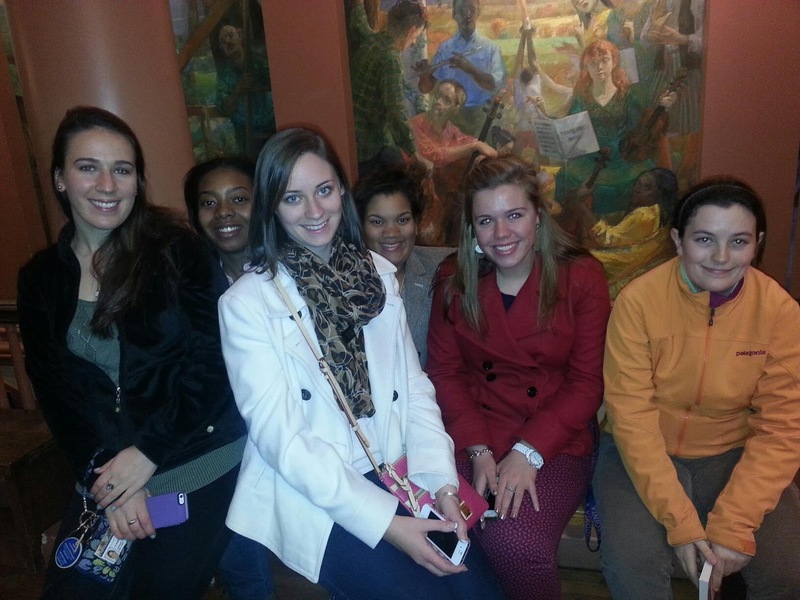 There isn't one moment where we realize this is the school for us, we are reminded time and time again. No matter where we go after our four years at the University, we cherish our time in this gorgeous area with such amazing people, no matter the weather. So, first, Katie Couric and Tina Fey Love UVa! I think it is so awesome whenever UVa gets mentioned in the media but especially when it is by these two amazing women. They really prove how far you can get in life if you apply yourself (and go to a really awesome university). I hope you all are having a great week and aren't too nervous about admissions results! We’ve made history this year by having classes cancelled three times due to “inclement weather,” as the University cited. Two days last semester, then most recently this Wednesday, for Winter Storm Saturn. 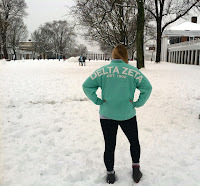 This winter storm hit Charlottesville a little harder than Hurricane Sandy’s drizzle, so most of us lost power here, meaning the school couldn’t actually send out an email saying classes were cancelled, since all the servers were down. Instead, we all relied on the ever-informative Cavalier Daily Twitter account, tweeting that classes were cancelled yet again this academic year around 7 am. After waking up to a blizzard like conditions in the middle of midterms, it was almost too good to be true. 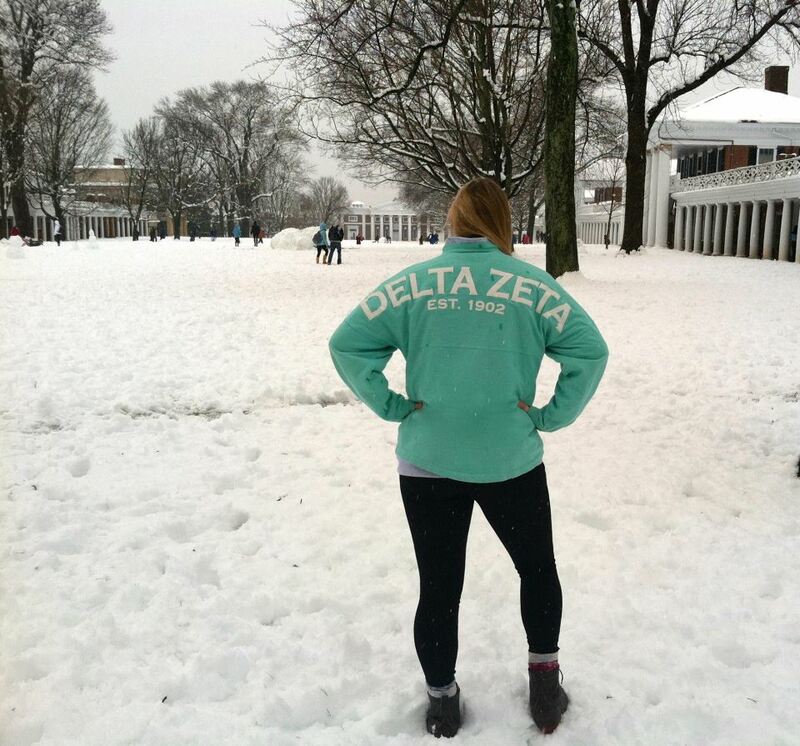 But hey, who were we to argue with them when exams were cancelled? The Cav Daily isn’t actually a CIO, or a Contracted Independent Organization, as we refer to them, but it is entirely student run, like all of the other CIOs here. That means that the Editor-in-Chief and the rest of their Managing Board is responsible for everything the paper prints or puts on their website. You heard me right: no faculty adviser! No adults, no rules! Just kidding. But as a club here, you don’t have to answer to any faculty member or get your events approved by anyone, other than if you’re planning on using facilities. You, as the students, get to decide what you want to do with your club, whether that’s put on a fashion show for charity or just skate around at Main Street Arena once a week (shameless shout out to my ClubSkating girls…yeah, we are a club sport!) For those of you hoping to escape the ever present parental control, UVA provides a perfect atmosphere for that. We’re allowed to change whatever we want: it’s the concept of “student self-governance” that we’re so famous for. At the beginning of every semester, Student Council, affectionately known as StudCo, holds an activities fair where all of the CIOs, all 200 plus of them, hold booths to recruit new members. 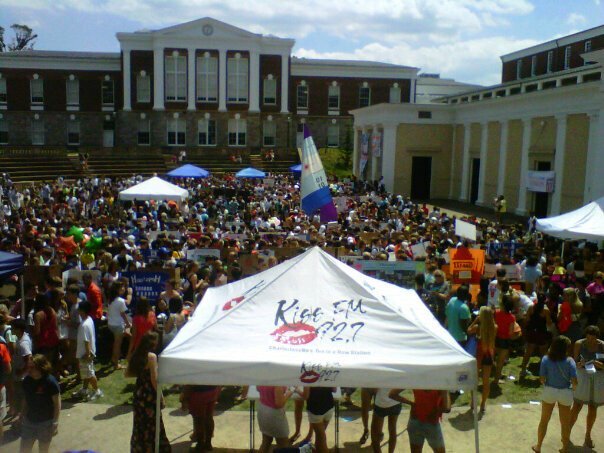 It’s kind of a crazy scene…especially the one before fall semester, which is held in August on a 100 degree day. Just to give you an idea of how seriously we take this student self-governance thing: One of the clubs that is always at the Activities Fair is Honor, which is responsible for overseeing our famous Honor system that keeps the UVA grounds so trustworthy (and lets me take my next midterm exam from the comfort of my own bed whenever I want…I kid you not!). Honor lets students know when charges have been filed against them and sets and holds the trial itself: they’re responsible for basically running the honor system. Recently they came up with the “Restore the Ideal Act,” which would have changed the 170 year old honor system in two different ways. I won’t bore you with the details, but basically the student body only liked one of these ideas, so we put up our own proposal, and passed that with a 64% vote. I know it may not seem like a big deal, but we take our honor system seriously, and its constitution hasn’t been changed in 170 years…and our “community of trust” is still intact! 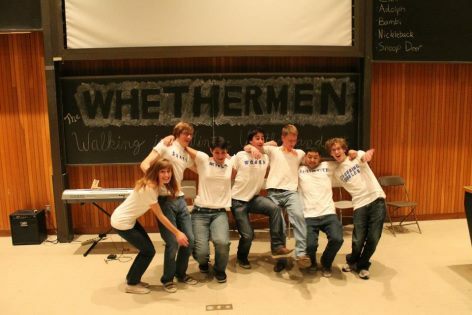 The huge number of clubs means you have the opportunity to get involved with anything you want, whether it’s VASST (Virginia Alpine Ski & Snowboard Team) which is currently skiing at Nationals in Idaho right now, or the Whethermen, UVA’s oldest improve group (pictured above). I know people who are busy from 7 am – 11 pm because they’re involved in so many clubs, so definitely take the time to get involved in anything you’re interested in, no matter where you end up. The Whethermen have no idea how to stand up? 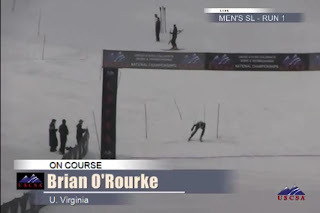 We Come From Old Virginia…. This line, taken from a parody video made by a UVA student last year refers to perennial fan favorite, fight song, and de facto alma mater, “The Good Ole Song”. Set to the tune of New Year’s classic “Auld Lang Syne”, this song has come to serve as a time-honored show of school spirit for UVA students, faculty, and alums. 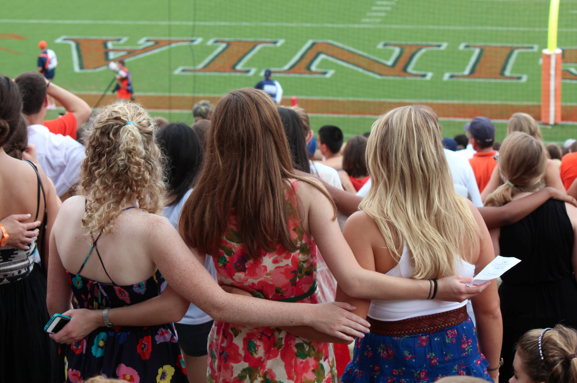 New students of the University are sure to pick up the words quickly in the fall of their first year, as fans, arm-in-arm, sing the song after every scoring drive by the Virginia football team. My parents just got season football tickets this past year and my mom considered it a major milestone when, mid-season, she no longer had to look to the jumbo-tron to read the lyrics. As its popularity has grown, it has, like the quote mentions, grown to be used in a variety of other settings. It may sound cheesy but it is truly something that brings people together at events big or small. Some of my favorite memories of first year include singing the Good Ole Song in the middle of a friend’s living room after watching UVA upset Miami in a football game and then a few weeks later singing with thousands of UVa students, staring up at the Rotunda after Lighting of the Lawn. So whether you’re a perspective student or a loyal fan, the lyrics to the Good Ole Song are definitely required reading! Wa-hoo-wa! Many of you reading this blog may be seniors, or even juniors, in high school and yes, you’re finally the ones graduating and the ones who “rule the school” [or so many seniors appear to think]. I was in your shoes at this time last year and was anxiously waiting a few more college decision letters. As I stated in my first blog, after receiving my college decision letters I threatened to draw a college name out of a hat, and at one point I even labeled three different tea sweetener packets and closed my eyes and picked one [just so you know, I picked UVa…all THREE times]. My mother didn’t really think this seemed like the best way to choose a college, so I started making pro and con lists. 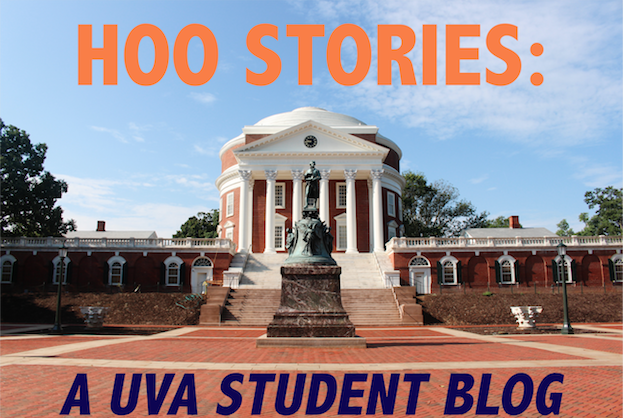 Eventually I came to the conclusion that I would attend UVa, which you probably could’ve guessed since you’re reading a UVa Blog. Anyways now after jogging your memory about my background, I figured I’d let you in on some of the great experiences of being a first-year, [even though this means you will no longer be the oldest in the school]! 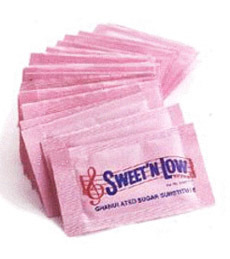 I thought picking a college based on the Sweet'N Low packet seemed like a GOOD IDEA! A day-in-the-life…I’ll start with dorm life. Well there are basically three sets of dorms from the way I see it: Old Dorms (McCormick Road), Alderman Road Dorms (from Balz-Dobie and Watson-Webb to Courtenay House), and Gooch-Dillard Residence Hall. 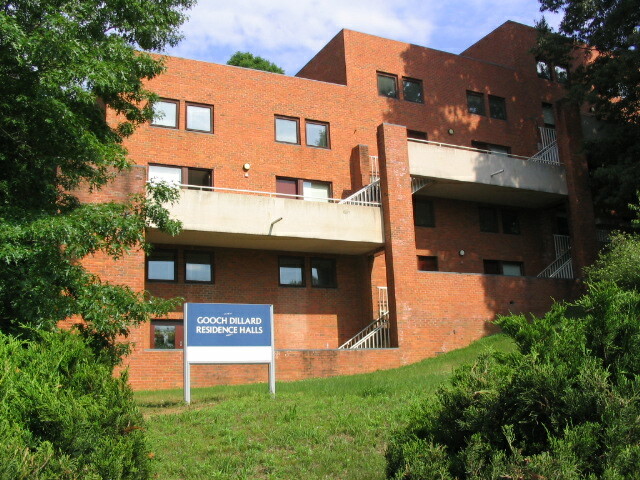 I live in Gooch-Dillard, a co-ed residence area that is composed of suites that house between 5 and 6 people per suite and consists of individual bedrooms and one bathroom. Some of you may know where Gooch-Dillard is from visiting and the quote you will inevitably hear if you live in Gooch-Dillard is, “Oh, I’m so sorry! You are so far from everything…” Well I’m not going to deny this quote per se, but I will try to put a positive spin on it because Gooch-Dillard has a few perks such as your own bedroom, AIR CONDITIONING, a quick walk to Scott Stadium, and best of all, you’ll keep OFF the FRESHMAN FIFTEEN. Gooch-Dillard is now my “home-away-from-home” which may sound cliché, but I have actually enjoyed dorm life. I have become good friends with my Resident Advisor, Sarah, and have met some of the most amazing people in Gooch-Dillard from our First-Year President, Andrew, to my friends who I typically give a “shout-out” to in these blogs! Many of the people you meet in your dorm are going to help you survive the first week here and encourage you and push you to thrive during your college career, these people become your support system. Speaking of surviving the first week, the transition from college is a BIG one for many people because you are now on your own, have to think independently, and act like a “young adult.” Sometimes college classes are great because you won’t do work for a week or two at a time, but don’t let this fool you because typically it creeps up on you, so time management is definitely a great skill to acquire [I am still working on this one]. However, don’t fear the big transition because everyone handles it in their own way, but believe me when I say YOU WILL be able to handle the transition. Yes, classes are harder than high school classes and AP classes, and to my dismay many teachers don’t give you a study guide before every test, but most of the work is manageable and teachers hold office hours to help you out [take advantage of these because I didn’t very much first semester and I really regret not taking the opportunity to meet my professors one-on-one]. Now that I have given you a few helpful hints, let me warn you that ALMOST EVERY upperclassmen will rag on you for being a “First-Year,” but let me tell you a little secret, I was informed by a recent graduate that it is simply because all the upperclassmen wish they were us. Being a First-Year is one of the greatest years of your life and probably one of the greatest at college because all your classmates live on Grounds with you, almost no first-year has a car so you bond over riding the bus and or free-trolley, and you don’t have to pick a major or go into the real world anytime soon [this is probably why the upperclassmen envy us the most]. And "Hoo" doesn't want to look at this for the next FOUR years? !